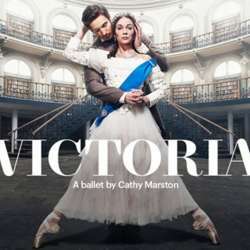 Retold Protected content after Victoria’s birth, this major new production features dramaturgy by Uzma Hameed (Wayne McGregor’s Woolf Works) and an original score by Philip Feeney (Jane Eyre). "Cathy Marston catches that fierceness in deft, character-driven storytelling… a vivid performance from the whole company". THE INDEPENDENT on Jane Eyre.